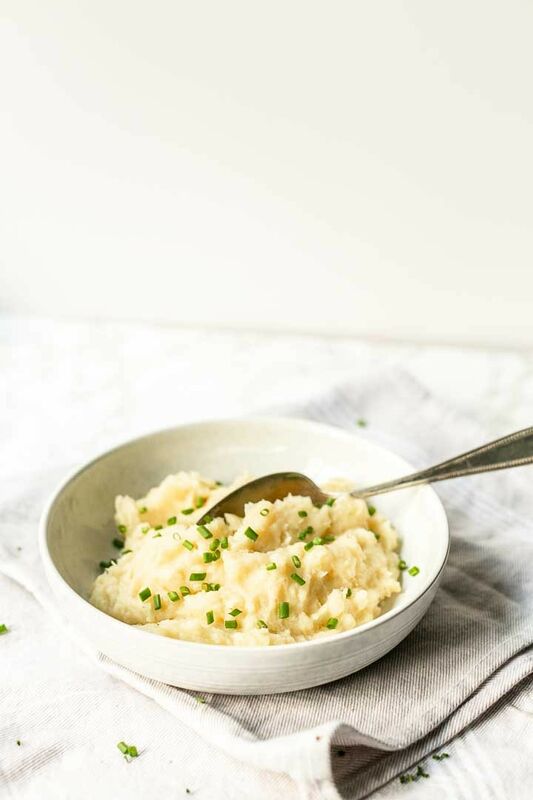 Looking for the perfect slow cooker mashed potatoes that you can make ahead, that will not dry out and you can keep warm for the holidays, your dinner parties and festivities? Then you have to check out this recipe. 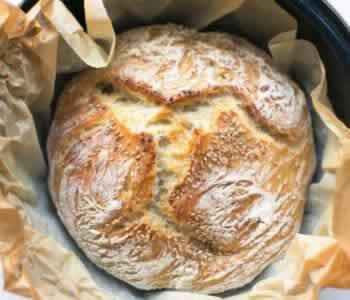 It is easy to make, smooth and so delicious. 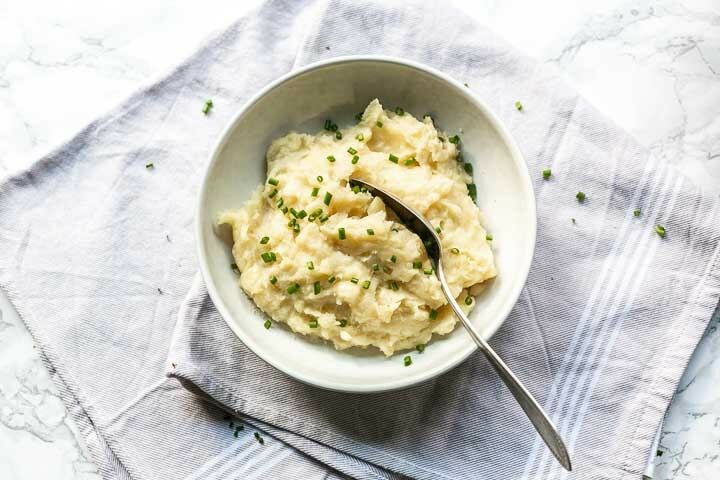 Want to see how you can maken the ultimate slow cooker mashed potatoes? Lets get started! Mashed potatoes is a classic side dish but try and keep the potatoes from sticking to the bottom of the pan. Well no more. 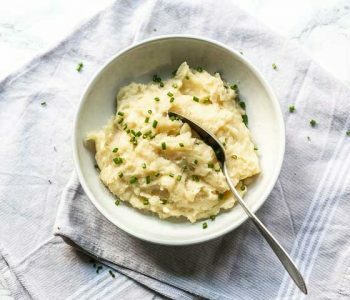 Make this slow cooker mashed potatoes because no boiling required with this recipe. 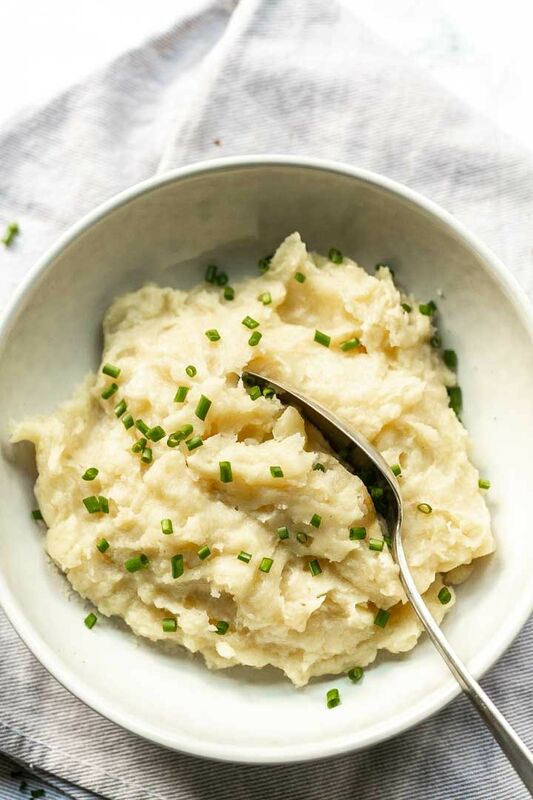 These mashed potatoes are made with my Crockpot Express slow cooker. I’m falling in love with this tool more and more everyday. I only used it for high pressure and slow cooking and not even used it for rice dishes, yogurt or soup. 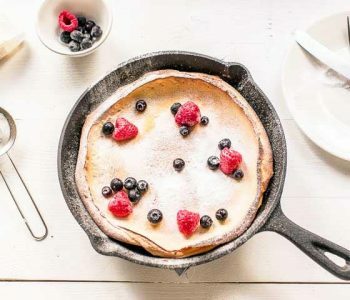 There are so many wonderful recipes waiting to be made in this pan and this recipe is a great example of that. A dump in the pan turn it on and forget about it. Ok you have to do some mashing but that is done in no time. 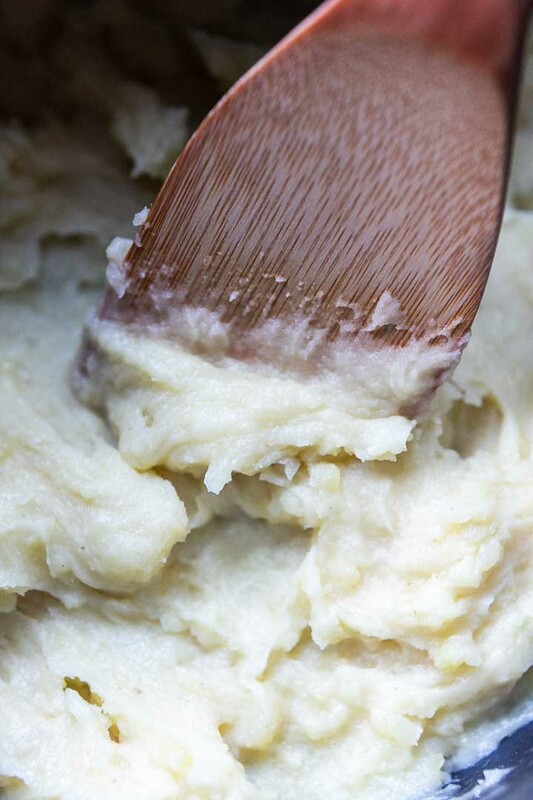 You create the perfect holiday side dish and you will not have dried mashed potatoes. Because the Crockpot has keep warm functionality you can leave it on and not worry. Another thing is you have additional room on your stove because the potatoes are taken care of. 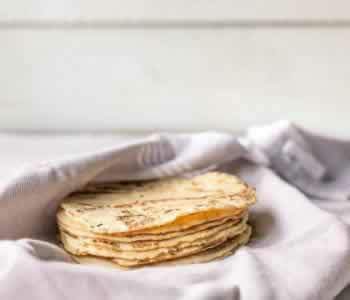 To make this recipe is so easy. Peel the potatoes and half them. 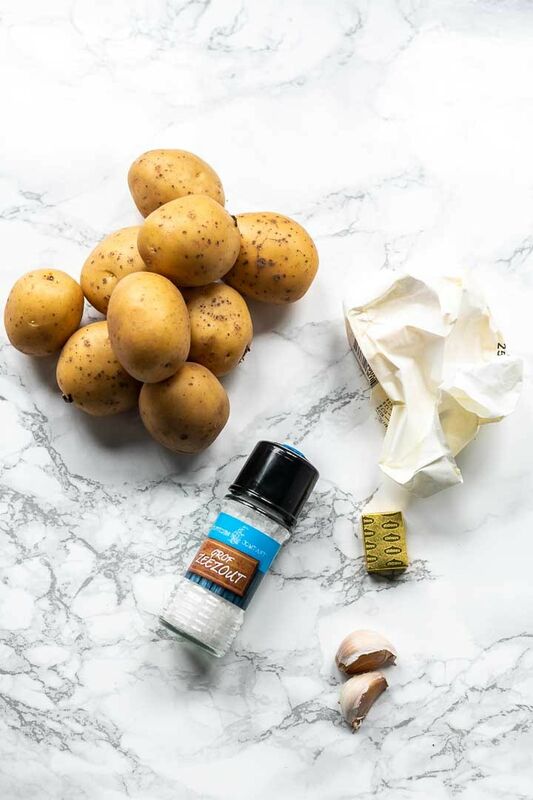 Wash the potatoes to remove as much starch as possible. Put the potatoes in the slow cooker and add the vegetable broth. Finely chop the garlic and season with salt and pepper to taste. 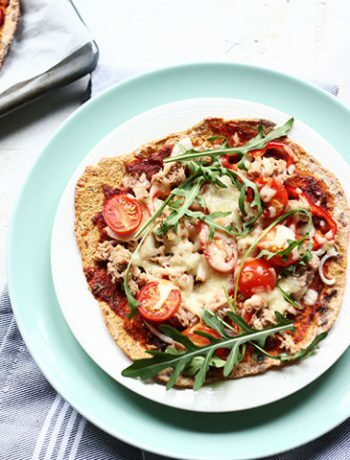 You can either cook on low for 5 hours or on high for 2½ hours. When the slow cooker is done mash the potatoes. I use a simple fork to mash but you can use a potato masher or a mixer. Add two tablespoons of butter (and sour cream if you like) this will transform the potatoes in a creamy smooth mash. Garnish with finely chopped parsley and your delicious mashed potatoes is done! Chicken and potatoes is a great combination. 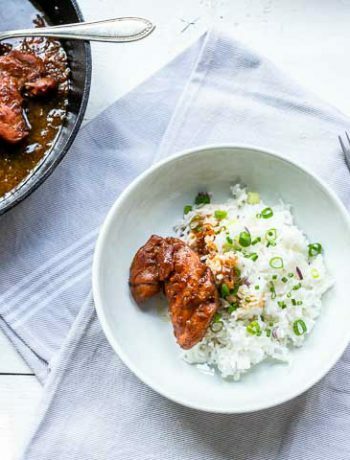 Eat these slow cooker mashed potatoes with garlic honey chicken. Barbecue ribs with matched potatoes and some barbecue sauce finger licking good. Shrimp Asparagus is a good recipe that you can eat with mashed potatoes. 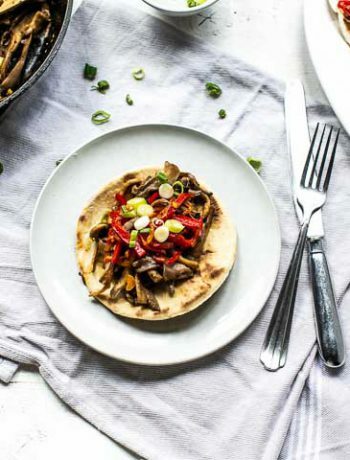 Steak fajitas and mashed potatoes may not be the most common recipe but give it a try. 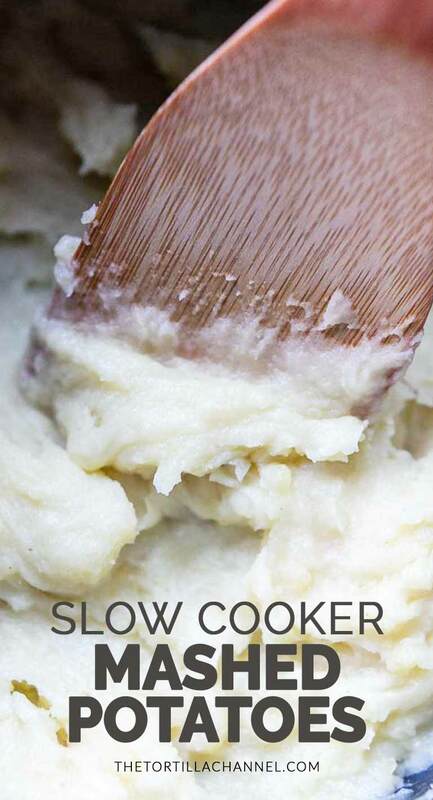 Have fun with this slow cooker mashed potatoes recipe! Made a recipe tag @thetortillachannel on Instagram or PIN on Pinterest. Cook on low for 5 hours or on high for 2½ hours.